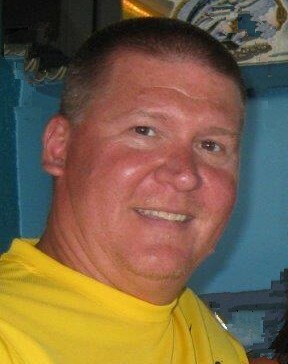 Richard Seldon “Rick” Logan 56 of Huntington, WV passed away suddenly of a heart attack on Thursday, January 10, 2019 at Cabell Huntington Hospital. Funeral services will be held on Monday at 11:00 a.m. at Norway Avenue Church of Christ, 1400 Norway Avenue, with Minister Jeff Garrett officiating. Burial will follow in Spring Hill Cemetery. He was born August 18, 1962 in Huntington, WV. He was employed by his family business, S.S. Logan Packing Co. He was preceded in death by two step-sons, Dale and Dustin Hardwick. Rick was an avid outdoorsman, he loved hiking, biking, camping and swimming. He is survived by his loving family, his daughter, Kimberlee Taylor Logan of Huntington; father, Nester S. “Buddy” (Becky Clark) Logan of Huntington; mother, Marsha (Dr. Joe) Geiger of Lewisburg, WV; his longtime companion, Tina Short; a brother, Samuel (Angela) Logan of Greenville, IN; two nephews, Stone and Shane Logan; his fur buddies, Frankie, Gabriel and Bugsy. Rick is also survived by a host of aunts, uncles, cousin, co-workers and friends. Those who wish may make memorial contributions to Huntington Cabell-Wayne Animal Shelter, 1901 James River Road, Huntington, WV 25701. Online condolences may be sent to the family at www.beard.mortuary.com. The family will receive friends on Sunday from 3:00 – 7:00 p.m. at Norway Avenue Church of Christ.